I love to give gifts that I can make in my own kitchen with ingredients I already use and trust. The good old internet can come up with a ton of ideas and recipes. When I read this one I knew it was the one I wanted to make. Add your sugars to the jar in layers. Press down to compact. Alternate between your pink and white layer. For a full tutorial and a free label check out the source here. I had a fabulous old Ball Mason Jar with glass lid and rusty ring (I think it adds charm), I covered up some of the rust with washi tape and made my own tag with my cricut. 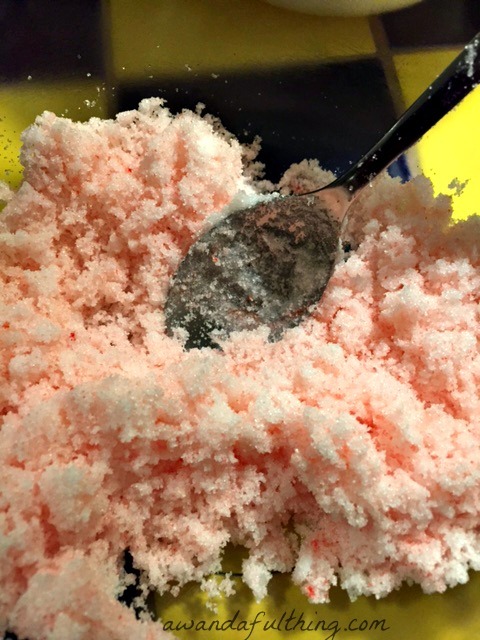 Day 2 – Peppermint Sugar Scrub- It’s A Wandaful Thing! 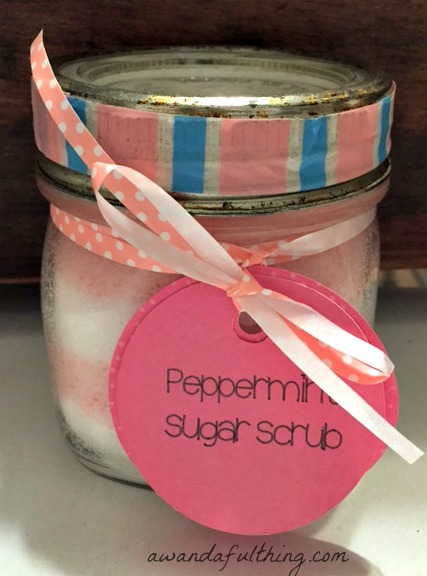 This entry was posted in DIY, Make and tagged bowl, Christmas, Crafts, creativity, cricut, DIY, drops, easy, essential oil, friend, gift, ideas, inexpensive, label, mason jar, mix, oil, peppermint, recycle, reuse, ribbon, scrub, simple, spoon, sugar. Bookmark the permalink. This is a great gift idea! I am doing homemade granola this year for people but this may be something to consider for next year? Or maybe even birthday? Simple and cute! I love homemade things of all kinds. 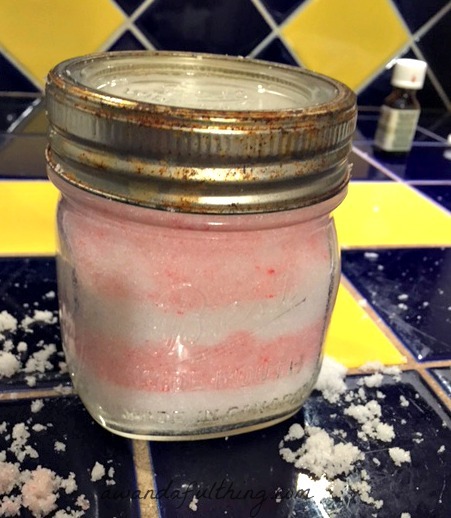 LOL I had to make more as I ended up using it and LOVE IT….makes my skin so soft. Great idea. Now off to look for pretty jars. Love it. Where would I get pretty smelling essential oils?